The title of the latest album from The Deep Dark Woods, Yarrow (out now on Six Shooter Records), is derived from the plant of the same name, which produces a small, aromatic white flower. It has long been prized for its medicinal qualities, never more so than during the U.S. Civil War when it was employed as a readily available means to stop bleeding. In that sense, yarrow came to symbolize how The Deep Dark Woods’ frontman and creative force Ryan Boldt managed to survive the past couple of years by putting his faith in the natural healing power of his songwriting ability. 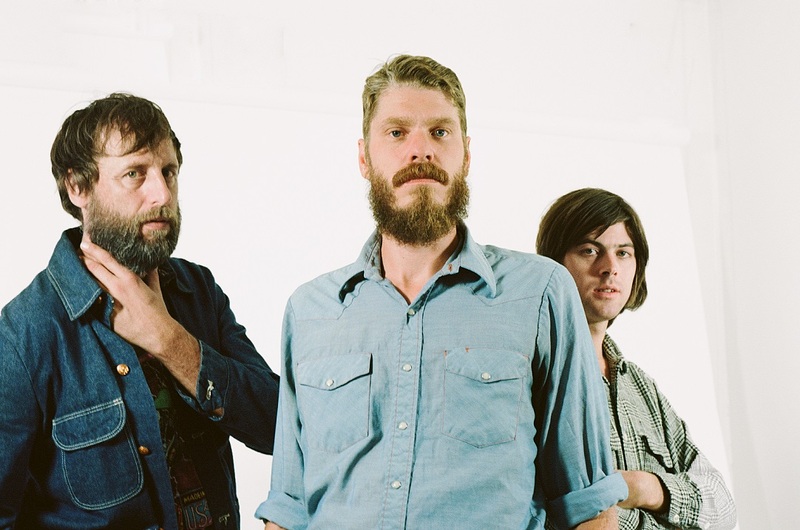 Although long regarded as one of Canada’s finest roots rock bands, The Deep Dark Woods, for various reasons, ceased activities after touring in support of their 2013 album Jubilee. Boldt was left to decide his next move and ultimately chose to continue under The Deep Dark Woods banner. Yarrow was laid down in October 2015 with Boldt’s fellow Saskatoon native Shuyler Jansen handling production duties, and Clayton Linthicum (also half of the acclaimed duo Kacy& Clayton) as the only member of the last Deep Dark Woods line-up to take part. Boldt gives a lot of credit for finding this balance to Jansen, whose own music has always pushed the boundaries of roots rock far beyond the traditional norms. The sense of being unbound by the constraints of time takes hold immediately on Yarrow. This is not just “roots” music; these are songs connected more to the elements and the Old Testament, songs based on primal emotions that remain within us, buried under layers of pop culture triviality. It is made for the sole purpose of telling a story, and the stories told on Yarrow will resonate as long as people have the desire to pick up wooden instruments and sing. What makes Yarrow stand apart from your previous work? I think the band sounds happier; the songs flow better, and the album is shorter and more to the point. I’d worked for 11 years to get to where I was, so it didn’t make much sense for me to try to start over as a solo artist. I always had this vision of the Woods being an ever-changing band, and some of the other guys didn’t feel that way. So I see this new album as part of that evolution. I’d written the majority of the songs in the band, so no matter what I did, it was going to end up sounding like the Woods. What songs on the record do you feel best represent your current musical vision? I’d say “The Birds Will Stop Their Singing” and “The Winter Has Passed.” I’ll add that Shuyler [Jansen’s] role on this record was enormous, from getting the right sounds to helping me write parts when I was stuck. He’s always been a pal anyways, turning me on to new bands that I would never have listened to. I tend to keep coming back to the stuff I’ve loved best, folk-rock from the ‘60s and ‘70s and earlier. How has your approach to playing live changed with this album? It’s a new rhythm section, and I feel more at home with these guys—more myself, and the setlist is more consistent, with a lot of ups and downs, a lot of dynamics. What’s been the most significant change in your life in the past year? Getting the band back together and playing live music again. I finally feel like I have my life back in order. There are too many pretentious cool guys. It’s very tiring and frankly, quite nauseating. - Audio can be streamed here, and below the latest music video from the album.